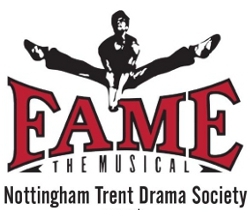 Review: Fame – The Musical! 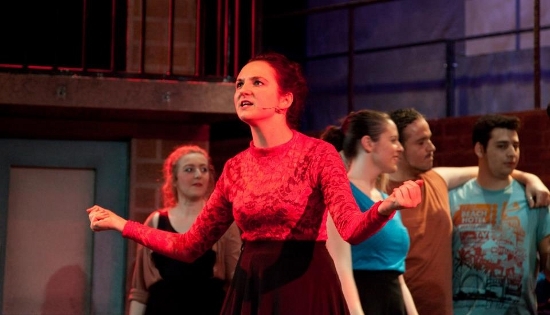 NTU’s Drama Society brings down the house with March 2013′s Fame – The Musical! In L.A. and There She Goes! were especially thrilling numbers but the sheer rapidity of the musical packed in so much talent and so much work from the performers it was palpable! So many of the central cast delivered stellar performances it is hard to mention them all: Chris Bury was the ideal comic relief of the piece in his role as the vulgar Jose ‘Joe’ Vegas. It was the best physical acting of the show hands down and in a show with this much energy, that is hard to describe! Chris painted an already big-headed character with truly larger-than-life flair. On quite the other hand, Ashley Wallace played Nick Piazza with a sincerity difficult to imagine possible in such a big show. None-the-less, the tender presence Ashley gave the role seemed to up the character’s profile and gave the dynamic between Nick and Serena (played with just as much commitment by Helen Smurthwaite) a place of its very own in the narrative. Farnham’s Lucy Miller played the ambitious and feisty Carmen Diaz and the famous Fame theme was hers again at the show’s climax with a costume nod towards Olivia Newton-John’s skintight black outfit in Grease’s iconic final scene. Lucy’s performance was that of a consummate professional as her maturity, projection, accent, dancing and – most remarkably – positively gymnastic voice stole the show. Nicole Samkange’s Mabel Washington was sassy in the extreme; quite a transformation from her soft-spoken interview three days earlier. Her vocal control is nothing less than remarkable and literally gave me goosebumps when Mabel’s Prayer played in Act II; the best vocal performance I have heard in any show for a long time. Andy Murray was a convincing Mr Myers but Hannah Emily Locke and Abi Smith (as Miss Esther Sherman and Miss Greta Bell respectively) gave the most surprisingly powerful vocal performance in the song Teacher’s Argument. It was a treat that closed the first act with display of brilliantly matched vocal one-upmanship, making the most of two very talented singers. A bravely cast Maxwell Parrot played Tyrone Jackson and, alongside Tiffany Norman’s Iris, danced with an intimacy that set up perfectly the relationship and audience’s investment in the two characters’ arc. The lead dancers gave stunning performances too, with special mention to the choreographer Grace Nelder for piecing together spectacular routines, and dancing herself in several of the more challenging numbers. Bigger pieces of choreographic work like Dancin’ on the Sidewalk played towards the strengths of the cast. Its energy and numbers provided a feast for the eyes and the dedication the whole cast had put in at rehearsals came through in the smiles wrapped around the faces of performer and audience member alike. Even the lighting and set were elegant and very professional despite the Society not having access to the Arts Theatre until just two days before the opening night! A great show cannot be a great show without good direction and Nick Collins should be incredibly proud to have his name on a production like this. The Drama Society has the Midas touch; whatever it does next, do not miss it! It is quite sad to think after so much work, the show’s run is already over. It is however, heartening to think that for about as much as a cinema ticket, hundreds of theatre-goers could get such a unique and exhilarating experience.